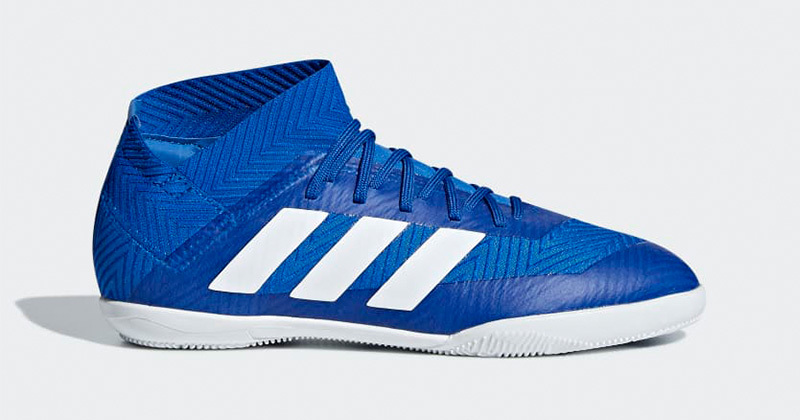 Our pick of the best football trainers (or indoor boots) for kids for on the pitch and off it. If your child plays or trains indoors, it is worth investing in a pair of football trainers also known as indoor boots. The rubber sole on football trainers allows a lot more flexibility than the hard plastic soleplate of a standard football boot and the non-marking . Football trainers don’t usually have any raised studs so there is no chance of slipping and grip is increased on an indoor court. Many kids also use their football trainers instead of sports trainers for playing out or other sports as they look stylish and are much more comfortable than normal boots to wear out and about. 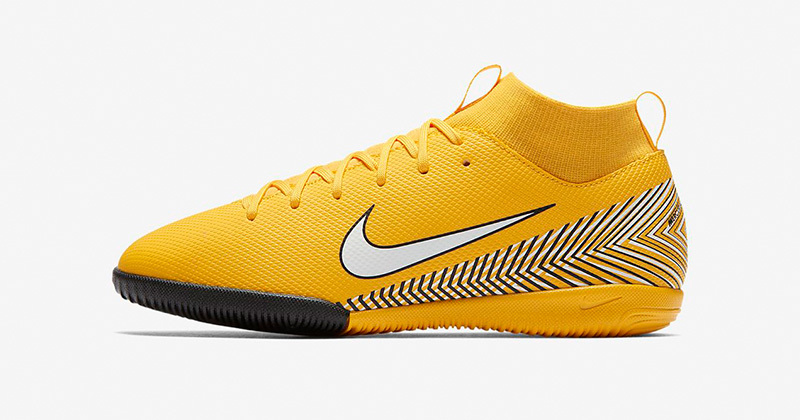 The MercurialX Vapor from Nike is available in kids sizes 13.5 - 5.5 and offers wrap around comfort and great ball control. The bright flashes of orange add a smart contrast to the bright white colourway but you may find them tricky to keep clean if they are worn as a day to day boot as well as on the indoor court. Worn by the great Lionel Messi, the Nemeziz boot with it’s ‘bandage’ style construction is incredibly supportive and offers great flexibility for indoor play. 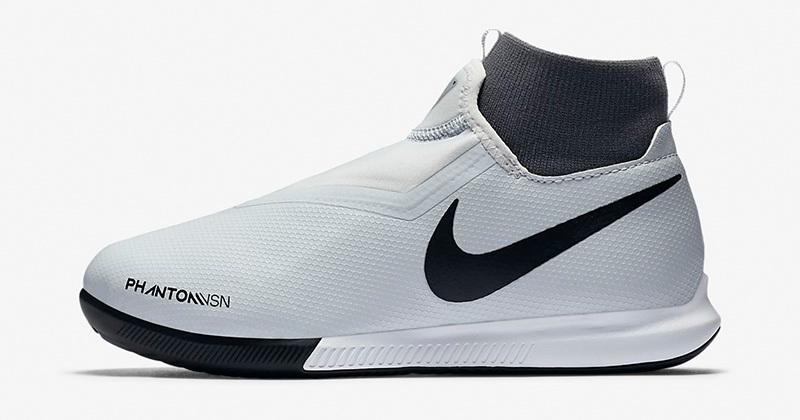 The slight collar on the trainer may make it slightly tricky for younger kids to get on them on but does offer great ankle support for the indoor game. 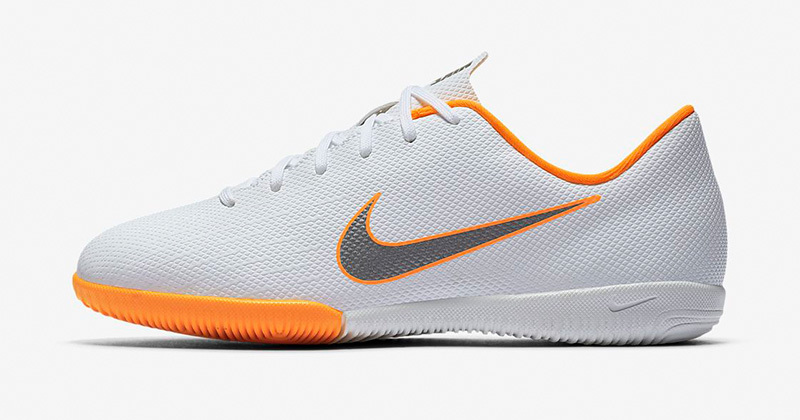 The Phantom Vision are the latest new release from Nike and have taken over where the Magista left off. Designed to offer a sock-like snug fit, these football trainers have hidden laces so they are fully adjustable to you child’s individual foot width. The white colourway may be a risk for kids who are heavy on their feet but if your child wants the latest cool boot, then this is the one to go for. If your child has asked for ‘Pogba Boots’, these are the ones they’re after. 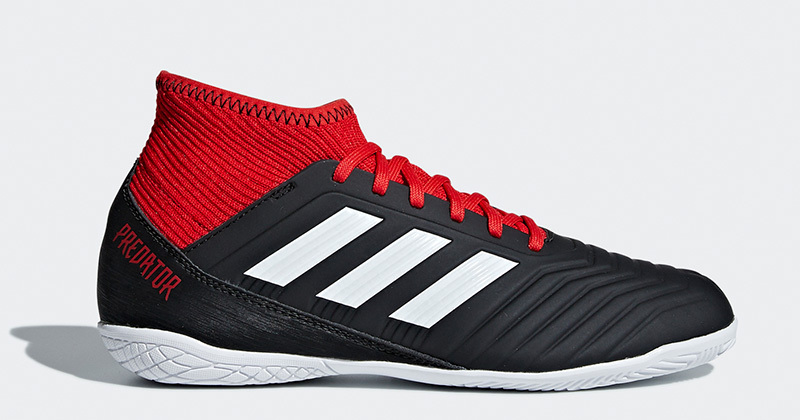 In the classic Predator black and red colourway, these football trainers offer a sock-like snug fit which feels like a second skin. These boots were a very close second place for us and there is very little not to like for most kids looking for a cool pair of football trainers, this one just comes down to personal preference. Ask any young football fan who they want to play like and Neymar is bound to get a mention. 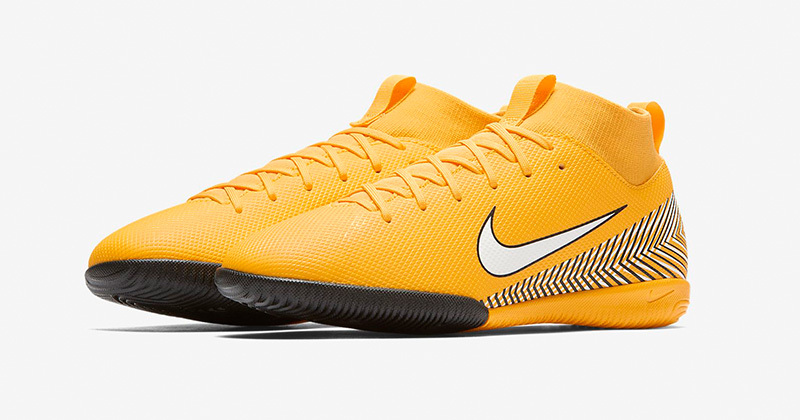 This bright yellow ‘Neymar’ version of the Mercurial Superfly VI will win points for association with their hero and you can rest easy that the popular Mercurial Superfly will offer fantastic comfort and support for their indoor game.